Earth Day brings out the worst in polluters. This Earth Day, United Airlines started touting its newly-revamped carbon offset program, allowing customers to alleviate the guilt of climate pollution by spending money on climate-enhancing projects in three different countries. 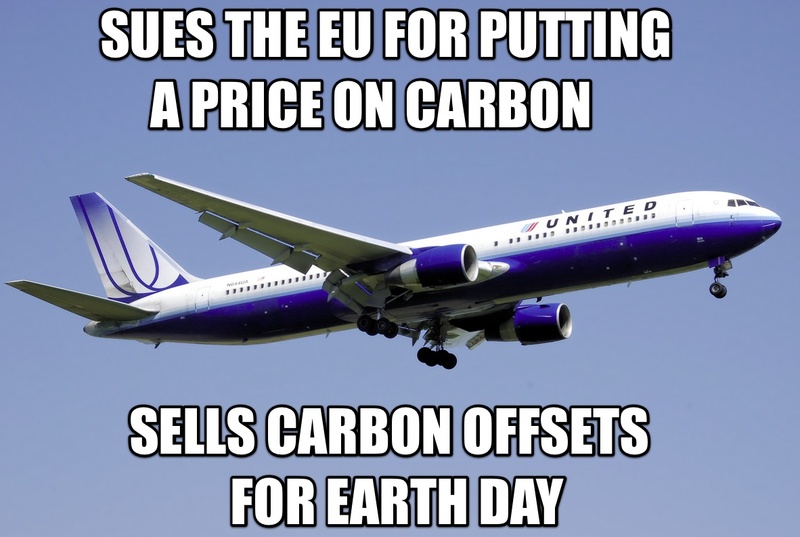 What United’s green PR team didn’t mention is that up till March, they were busy suing the European Union, trying to prevent the EU from putting a price on carbon emissions emitted during flights starting or ending in Europe. It took a ruling from the European Court of Justice to get United’s lawyers to finally quit. « Sierra Club: stop promoting high-CO2 aviation for Earth Day!